The Beach Colony condos for sale in Perdido Key on the Florida Gulf Coast, come experience the popular coastal lifestyle at this gulf-front barrier island just west of Pensacola – with spacious vacation homes overlooking the Gulf of Mexico, 2 outdoor beachfront pools, tennis courts, an indoor heated pool, spa and a fitness room, you may never want to leave.. 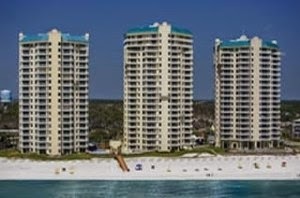 Located directly on the Gulf of Mexico on one of Perdido Key’s largest of beach front parcels, Beach Colony Resort Condos have an array of amenities – relax on your large, private balcony taking in the spectacular views or enjoy the outdoor pools, hot tubs and tennis courts during your beach getaway to Perdido Beach. Whether you are interested in a 2nd home, full-time residence or investment property, the Florida Gulf Coast can you enjoy the best coastal living.